We manufacture a complete line of high power oil-filled loads that provide superior cooling performance at a reasonable cost. These loads can be operated in any position, and are available in standard RF power ratings of 150 to 1,200 Watts. 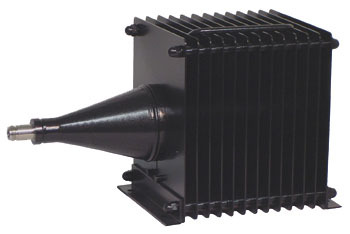 Forced-air cooling can be added to increase the power handling capability of any unit. Many additional connector options, including standard EIA flanges, are available. Consult the factory with your specific requirement.